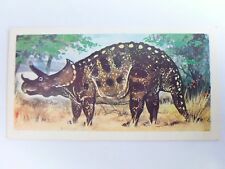 Brooke Bond Prehistoric Animals tea card 23. Corythosaurus. Dinosaurs. 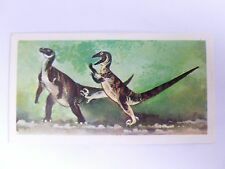 Brooke Bond Prehistoric Animals tea card 25. Protoceratops. Dinosaurs. 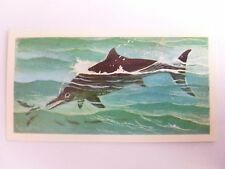 Brooke Bond Prehistoric Animals tea card 15. Deinonychus. Dinosaurs. 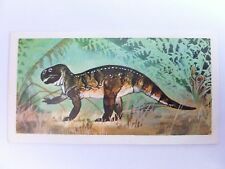 Brooke Bond Prehistoric Animals tea card 14. Ornithomimus. Dinosaurs. 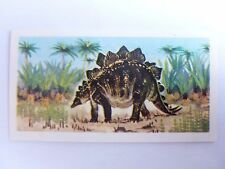 Brooke Bond Prehistoric Animals tea card 36. Dimetrodon. Dinosaurs. 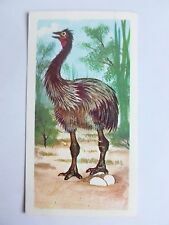 Brooke Bond Prehistoric Animals tea card 8. Mosasaurus. Dinosaurs. 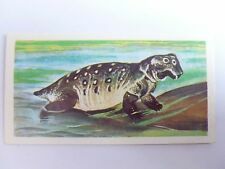 Brooke Bond Prehistoric Animals tea card 10. Plateosaurus. Dinosaurs. 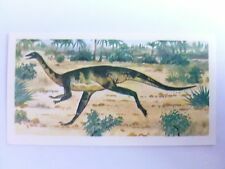 Brooke Bond Prehistoric Animals tea card 11. Cetiosaurus. Dinosaurs. 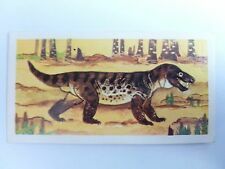 Brooke Bond Prehistoric Animals tea card 24. Psittacosaurus. Dinosaurs. 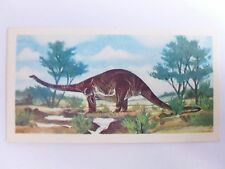 Brooke Bond Prehistoric Animals tea card 35. Tanystropheus. Dinosaurs. 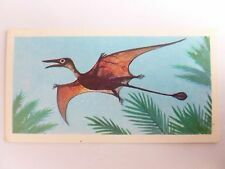 Brooke Bond Prehistoric Animals tea card 20. Polacanthus. Dinosaurs. 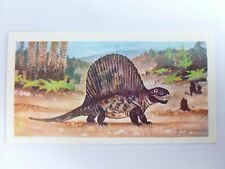 Brooke Bond Prehistoric Animals tea card 29. Archaeopteryx. Dinosaurs. 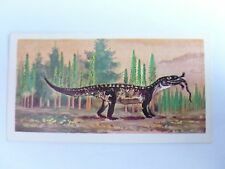 Brooke Bond Prehistoric Animals tea card 21. Hypsilophodon. Dinosaurs. 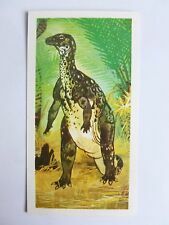 Brooke Bond Prehistoric Animals tea card 9. 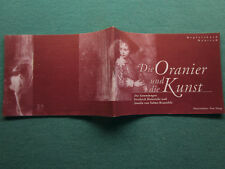 Mandasuchus. Dinosaurs. 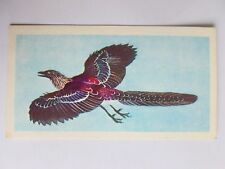 Brooke Bond Prehistoric Animals tea card 17. Tyrannosaurus rex. Dinosaurs. 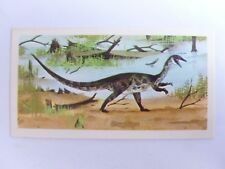 Brooke Bond Prehistoric Animals tea card 22. Iguanodon. Dinosaurs. 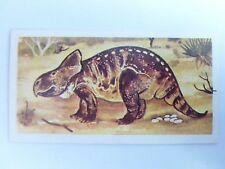 Brooke Bond Prehistoric Animals tea card 19. 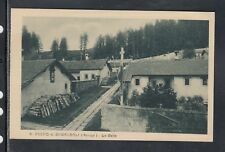 Stegosaurus. Dinosaurs. 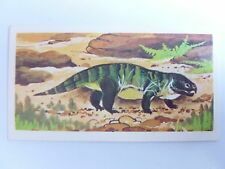 Brooke Bond Prehistoric Animals tea card 27. Rhamphorynchus. Dinosaur Pterosaur. 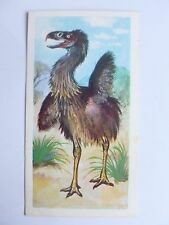 Brooke Bond Prehistoric Animals tea card 34. Cryptoclidus. Plesiosaur, Dinosaur. 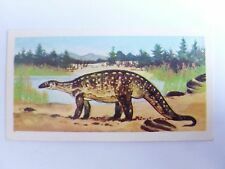 Brooke Bond Prehistoric Animals tea card 7. Stenaulorhynchus. Dinosaurs. 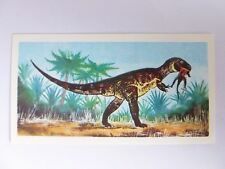 Brooke Bond Prehistoric Animals tea card 12. Brachiosaurus. Dinosaurs. 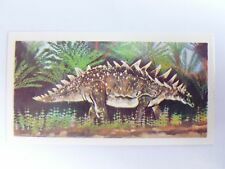 Brooke Bond Prehistoric Animals tea card 30. Phorusrhacos. 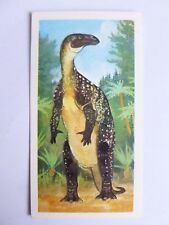 Brooke Bond Prehistoric Animals tea card 13. Coelophysis. Dinosaurs. 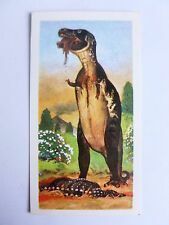 Brooke Bond Prehistoric Animals tea card 16. Megalosaurus. Dinosaurs. 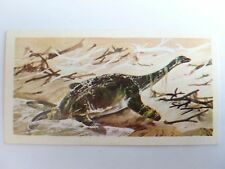 Brooke Bond Prehistoric Animals tea card 26. Triceratops. Dinosaurs. 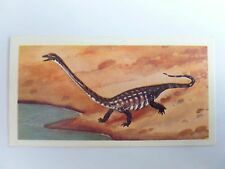 Brooke Bond Prehistoric Animals tea card 32. Aepyornis. Elephant birds. 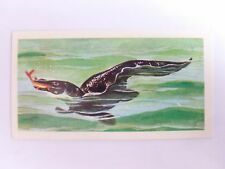 Brooke Bond Prehistoric Animals tea card 38. Cynognathus. Dinosaurs. 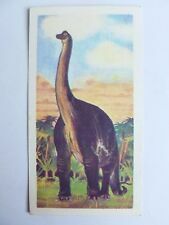 Brooke Bond Prehistoric Animals tea card 37. Lystrosaurus. Dinosaurs. 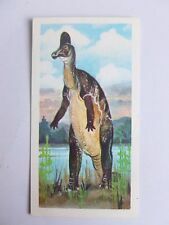 Brooke Bond Prehistoric Animals tea card 33. Ichthyosaurus. Dinosaurs. 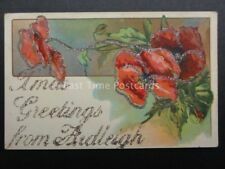 Poppies: ARDLEIGH in Essex, Glittered XMAS Greetings Postcard, Donate to R.B.L.